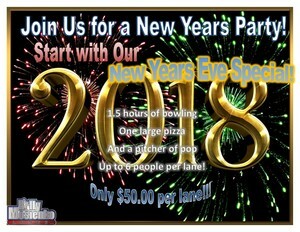 Join us this New Year's Eve at Billy Mosienko Lanes for tons of fun with the whole family! Have some delicious pizza some snacks and a few games before you head off to watch the fireworks or countdown to midnight with us here at the lanes! Call (204)586-2416 to book today!